Transphporm is a novel templating engine that takes a completely different approach to others. Transphporm uses a CSS like syntax to allow writing content to any element on the page. Transphporm supports content replacement, conditional logic, loops, caching and data formatting. Dice automatically works out the dependencies required to construct an object. It's also fast and lightweight. Maphper is an ORM with a focus on simplicity and ease of use. You can replace the entire ORM with an array. NoF5 - Never press reload again! Are Static Methods/Variables bad practice? To assert or not assert, that is the question. Is programming an art form? 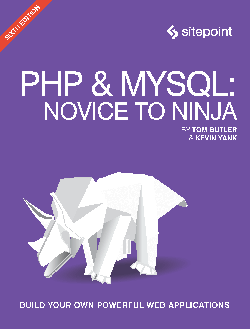 PHP & MySQL - Novice to Ninja, now available! I don't usually write about networking but I couldn't find a concise guide for this online so this is for my own future reference as much as for anyone else who may find this useful. I previously had the OpenVPN client running on my router, but the router's CPU limited my overall connection speed so I decided to place a NUC (Tiny form factor PC) with dual network ports between the modem and my router for the purposes of running a VPN client and a few web facing services. I'm using some hardware I already owned which has and a comparatively beefy CPU (Intel i7 5557u) that is is overkill for this purpose but will allow the VPN to run without being CPU limited. I wanted something to run a VPN and a web server as well as a few other web facing services and not have to worry about. With CentOS I can leave it running without having to worry about maintenance (Thanks, yum-cron!). Why not put the VPN behind the router? Firstly, it's more difficult to configure all outbound traffic to be forwarded to through the VPN. Secondly, having this as part of my local network is not ideal, if one of the services running on the server was compromised then someone could probe any device on the network. By putting the web facing services on a PC on its own network, anyone who gained access to the server would still have to get through the main router to access other machines on the network. A separate modem and router (or two routers), if your modem is also your router you'll need access to iptables on the router to forward the traffic to the VPN PC and back, something I won't cover here as you'll need a router more configurable than most off the consumer products. The goal here is that the modem connects to the VPN PC, and the VPN PC connects to the router. Each of your adapters is listed (enp2s0 and enp3s0 for me). One of them should have been given an IP by the modem. For me it's enp3s0, this is your WAN port. The second port connects the PC running the OpenVPN client to the router, your LAN port (for me enp2s0). You will need to remember which is which and keep the correct cable plugged in to the correct port. You will be running three distinct networks. Make a note of the IP given by your modem. In my example above it is 192.168.0.28. Plug a device into your router and check the IP (if the IP is in the same range as the modem e.g. both are 192.168.0. *) adjust your router to pick a different subnet. 192.168.2. * - Configured by the VPN PC, choose any number between 0-255 that isn't already taken by the modem or router. The router will be given an IP on this network. Edit the file /etc/sysconfig/network-scripts/ifcfg-enp2s0 (substitute your own adapter name). This is the adapter that connects the PC to the router, not the modem. Keep the rest of the settings as they are and make sure to set IPADDR to an IP between 1 and 254 of your chosen subnet. Note: .0 does not work! You will need to supply the IP of your modem for the domain-name-server entry to forward DNS from the client. If that doesn't work, you can use Google's DNS 8.8.8.8 or CloudFlare's 1.1.1.1. If your subnet isn't 192.168.2. * use your chosen subnet throughout. At this point, you can log in to your router and check that it has been assigned an IP address on the 192.168.2. * subnet. You won't be able to access the internet from devices attached to the router yet though. The next stage is enabling NAT so that devices connecting from the LAN can access the WAN. Remember to substitute your own adapter name. At this point the NAT is configured and any device connected to the router should have internet access. That's it, go to whatismyip.com and check that it's connecting through your VPN. All content is by Tom Butler, a Ph.D student, Web Developer and University Lecturer based in Milton Keynes, UK. 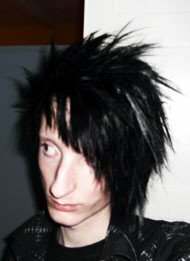 Interests: Programming, best practices, PC gaming, PC hardware and seeing live music. Want to discuss one of the articles here? Head over to my Gitter chat or you can contact me directly.